Interior design guru Axel Vervoordt shares his latest inspirations for the home. Axel Vervoordt’s intense curiosity has fueled his work as an interior designer, spurring him to explore and draw inspiration from cultures around the globe. He was first exposed to Eastern art and philosophy years ago, but today it has become the guiding principle in his work, particularly the concept of Wabi. Developed in the twelfth century, Wabi advocates simplicity and humility, the rejection of all that is superfluous or artificial. Through extraordinary photographs from Japan and Korea to Belgium and Switzerland, Vervoordt invites us to explore the elements that inspire him: natural materials and timeworn objects that evoke the essence of Wabi. 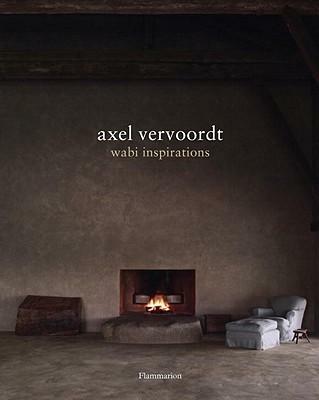 Today, together with the Japanese architect Tatsuro Miki, Vervoordt carries the principles of Wabi into his remarkable interiors. As Vervoordt reveals how he infuses his current creations with a fundamentally oriental approach, interiors devotees will gain new insight from this tribute to the designer’s latest sources of inspiration for the home.